Introducing our latest client website: Let's Chat Speech & Language Therapy Services! Sometimes, the simplest solution is the most effective one. 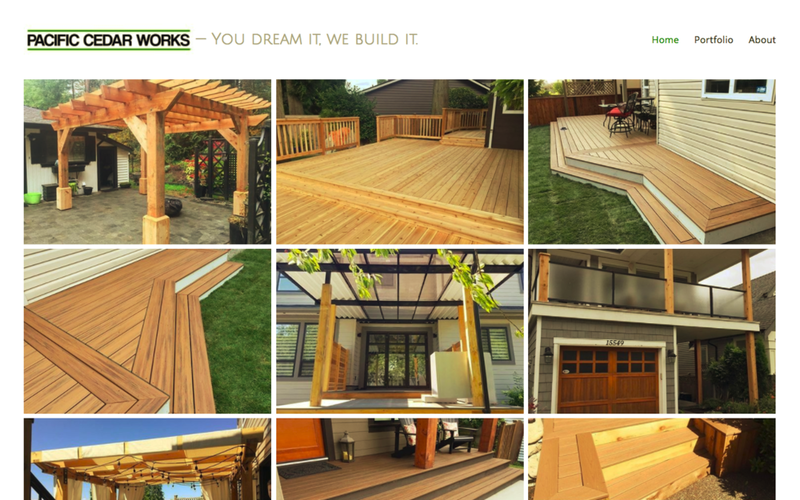 Our recent client Pacific Cedar Works had a dated website template that was not mobile-friendly. They had lots of great photos, but no capacity for uploading or regularly cataloguing them. So we re-designed a new landing page around a streaming Instagram feed. This way, it's always up-to-date with his latest work! It's always a treat to help build something from scratch, and designing for Contour Stone was no different. This client had put up a placeholder website using GoDaddy's WebBuilder, but wanted something more professional, as well as a logo and print materials. Using Fibonacci’s spiral as inspiration, we took full advantage of the bright and plentiful project photos to build a stunning website, complemented by a large look book and business cards.